While it is true that the cost of hardwood flooring may initially be more expensive than other flooring options, it is actually one of the most cost-effective flooring options over a long-term basis! When hardwood floors have been properly installed and maintained, they can last for hundreds of years. As room styles and preferences change over time, hardwood floors can easily adapt to these changes while other flooring types may look dated and require replacement. Hardwood floors make a fantastic long-term investment and are one of the cheapest flooring options when you consider the total service life! 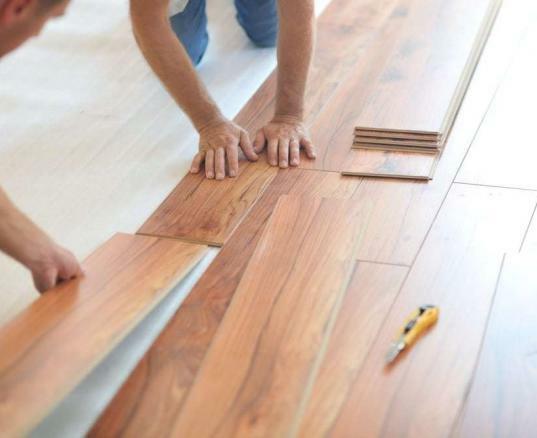 All flooring types will eventually show some wear and tear, but hardwood floors are the only type that can be repaired to make them look like they are new again! Most scratches in hardwood flooring are in the finish rather than the wood, so this can be fixed with a maintenance coat. 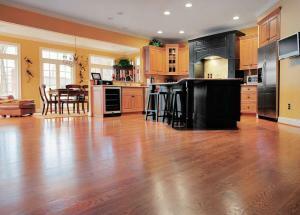 When there are scratches that are in the actual wood, the hardwood floors can be sanded and refinished. To minimize scratches on your floor, we recommend putting felt pads on furniture legs and using throw rugs at all of the entrances into the room. One of the most ironic myths about hardwood floors is that they are difficult to maintain because they are actually incredibly simple to maintain! All you need to do is vacuum the floor with the brush roller turned off to remove any dirt between the floorboards. You can also use a broom or dust mop to clean up the floor, but wet mops and steam mops should be avoided as the excessive moisture can dull the finish over time. When you do happen to spill something on the floor, it should be immediately cleaned up with a dry or slightly damp cloth. Some people think that hardwood floors get dirtier than other flooring options, but the same amount of dirt and dust is on other floors as well! The difference is that it is just more obvious on hardwood floors than on carpets and other flooring material. This is actually an advantage of hardwood floors as it does not hold mold, dust and dirt. As a result, it is easy to see and remove so that you can enjoy a better quality of indoor air! Now that we have debunked some of the top myths about the care and cost of hardwood flooring, check out our flooring products to find the perfect hardwood floor for your home or business! We look forward to doing business with you at ReallyCheapFloors.com!